Westminster Police Jail (WPD) is a municipal / police jail facility located at 8200 Westminster Boulevard Building 5 Westminster, CA 92683,and servicing Westminster. Municipal / Police Jail facilities, often known as city jails or town jails, usually hold pre-trial detainees. They are usually the first place a person is taken post-arrest, if the arrest occurs within the municipality or if the city jail is a designated holding place for nearby municipalities. It is not uncommon for a city jail to be the designated holding facility for nearby municipalities, especially in sparsely populated areas. However, upon arrest people may also be transferred to a county jail facility. Therefore, you may need to contact multiple jails to locate an individual immediately after the individual has been arrested. 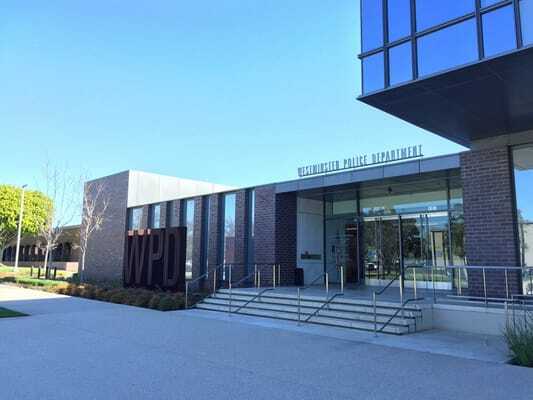 Westminster Police Jail's phone number is 714-548-3219.Friends and family who are attempting to locate a recently detained loved one can use that number to find out if the person is being held at Westminster Police Jail (WPD). Generally, municipal jails are pre-trial holding facilities. However, they may also be post-conviction incarceration facilities for people convicted of minor crimes, generally misdemeanors. Usually supervised by a municipal police chief in conjunction with other local government leaders, jails offer a large amount of flexibility for those being detained and a post-conviction environment that is generally smaller and safer than a prison setting. The drawback of a jail setting is that municipal jails usually lack the access to prison programming that one finds in prison settings, so that inmates may be unable to access education, vocational, or addiction programming. Westminster Police Jail's (WPD) website, http://www.westminster-ca.gov/police/ can provide additional information.